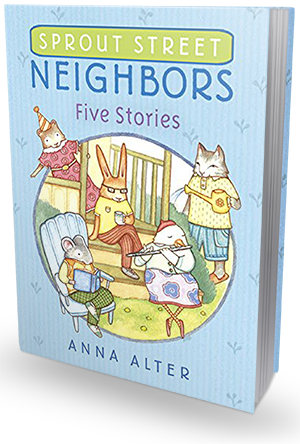 This adorable little book for children ages 6-9 consists of 5 short stories celebrating friendship and mutual support between neighbors. It's a real treat! The stories are very positive and meaningful, and each page is filled with cute black-and-white illustrations - some smaller than others, but all quirky and fun to look at. Sprout Street Neighbors is about 5 neighbors, who are also close friends. Here we have Fernando (the shy rabbit in thick black-framed glasses), Violet (the artsy and crafty duck), Emma (the fun-loving squirrel), Wilbur (the garden-tending cat) and Henry (the peaceful and stoic mouse). They make a very eclectic bunch, and though they're very different from one another, they get along just fine. I love how they always support each other and offer a helping hand to one another. No problem is too difficult for them to handle, not when they brainstorm together! 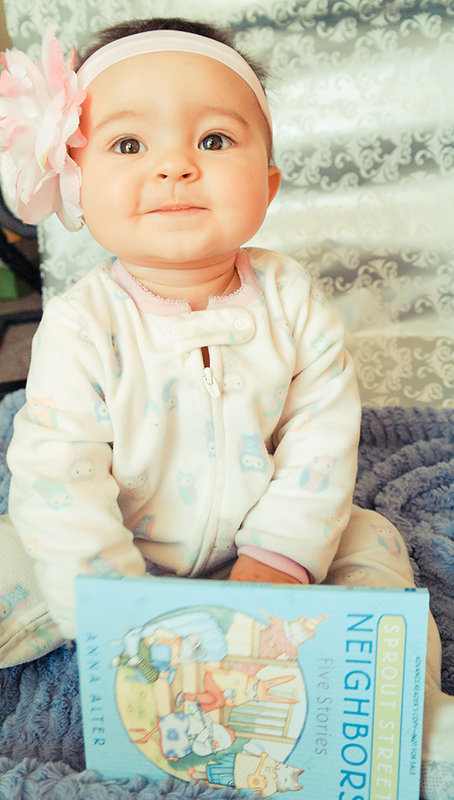 This little book is full of entertaining situations that will bring a smile to your child's face. At the same time, these stories will teach your child about the importance of helping others, being understanding and patient, supporting creativity of your friends, or simply being polite and friendly. These are some important messages and I'm happy to have a book such as this one on my child's bookshelf. My daughter will learn from it while having fun adventures with her cute animal friends - what better way to educate your kid! 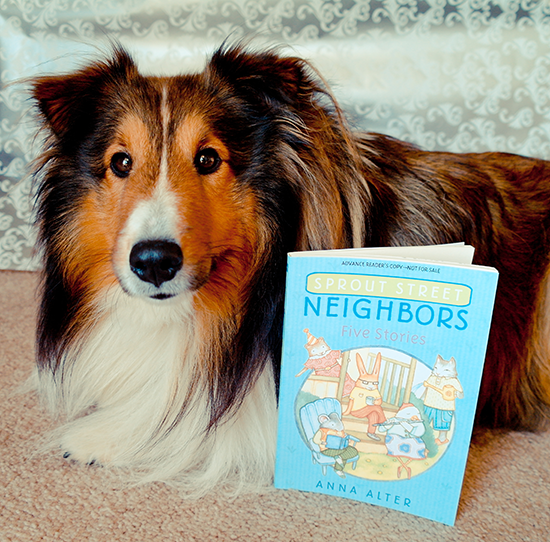 I hope the author will write more of Sprout Street Neighbors books, I'd love to see this being turned into a series. I will definitely be collecting of all them!